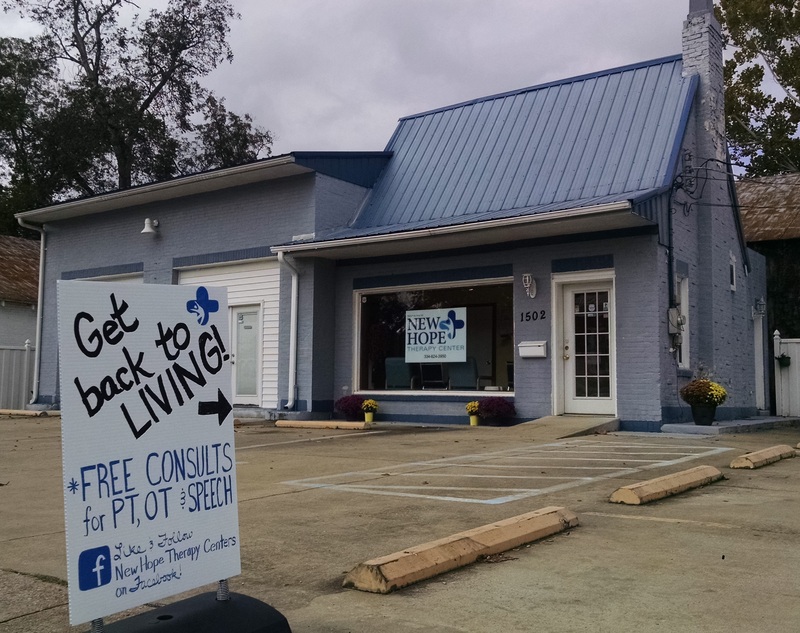 Greensboro, Alabama’s New Hope Therapy Center delivers high quality care and individualized therapy services to each client. We provide treatment options for the whole family. Our team of expert therapists have experience with the youngest of children to adolescent athletes to senior adults. Our therapeutic programs promote independence and improve quality of life for our patients. Physical Therapy (PT) can help you move freely again, without pain and discomfort, and have you feeling renewed and ready to move on. Our therapists will design home exercise programs and educate patients and their families/caregivers. The goal of physical therapy is to enhance mobility and quality of life by improving strength, balance, endurance, flexibility and posture. Occupational Therapy (OT) gives people the skills for the job of living and playing. OTs evaluate and treat patients to improve functioning in daily life activities such as getting dressed, grooming, bathing, cooking and recreational activities. Exercises include stretching, strengthening and flexibility. OT helps speed recovery from injuries to the hand or arm. Anyone who needs help facilitating independence in at aspect of daily life would benefit from OT. The goal of occupational therapy is to develop and restore as much function and independence as possible, which results in self-confidence and a sense of accomplishment. Speech Therapy: Our certified speech-language pathologists have extensive training in language, feeding, swallowing disorders and speech. They are skilled at medical interventions involving communication, swallowing and cognitive disorders. Our SLPs may be able to help your loved one with declines due to brain injury, stroke, cancer, infection, or physical abnormality. Some treatment focuses on restoring memory, sequencing, problem solving, safety awareness, attention, and their Â effects on the function of activities of daily living. Exercises may include breaking down a complicated task, like making a grocery list, to small simple steps. Your loved one may be taught specific exercises to strengthen the muscles of the face, mouth and throat such as blowing out, sipping in through a straw and making specific sounds like pa and ma. Goals for speech therapy include improved comprehension, improved expression, decreased memory problems and improved compensations for hearing impairment.